Today, experimental hip-hop duo Shabazz Palaces welcome their new album Lese Majesty via Sub Pop Records. The 7-suite, 18-track LP serves as the follow-up to 2011’s excellent Black Up, and you can take a listen to the album in its entirety at the bottom of this post. 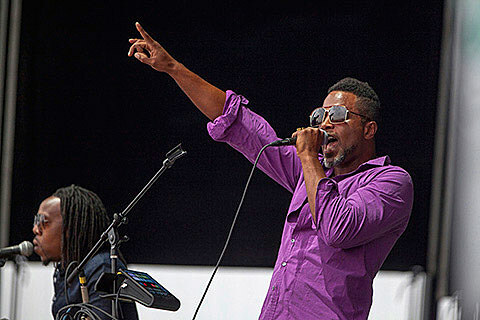 Shabazz Palaces are currently on tour throughout the US and will be embarking on another stateside leg in September. That run includes a show at Lincoln Hall on September 13, and tickets for the Chicago show go on sale this Friday (8/1) at noon CST.